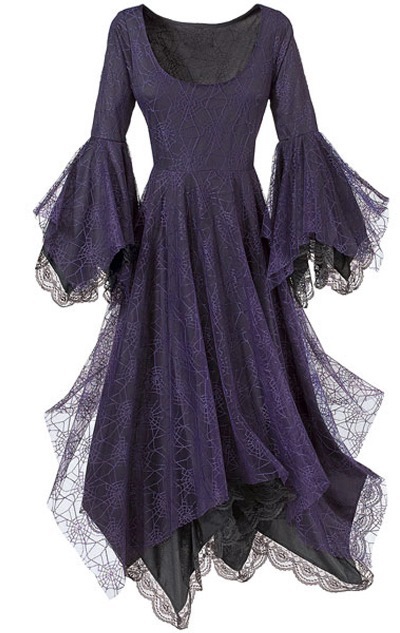 Eternal Love Niteshade Gothic Princess Dress Cobweb [5108N/R] - $50.99 : Mystic Crypt, the most unique, hard to find items at ghoulishly great prices! Eternal Love Niteshade Gothic Long Princess Dress Cobweb. Niteshade Cobweb pattern Fabric Overlay with Black Fabric Underneath. Handkerchief Bell Sleeves which remind us of bat wings. Long pointy floor length hem. Very gothic style and flowy. Adjustable Corset Back. Dress is approx. 40" long. Eternal lined lace bell sleeved dress with dramatic hem Dress is same length all around. Another one of our signature "Princess Dress" in whimsical cobweb. Ultra comfortable Empire-waistline with long handkerchief skirt. Custom dyed cobweb lace fabric with black lining. Adjustable back of ribbon + loops. 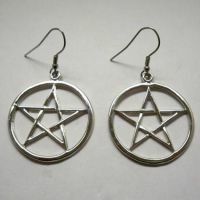 Great for Halloween or everyday wear. 100% polyester. Dry clean. Please read measurements carefully! 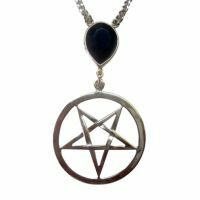 Find more Plus Size Gothic Clothing, Gothic Clothing, and Plus Size Dresses at Mystic Crypt.